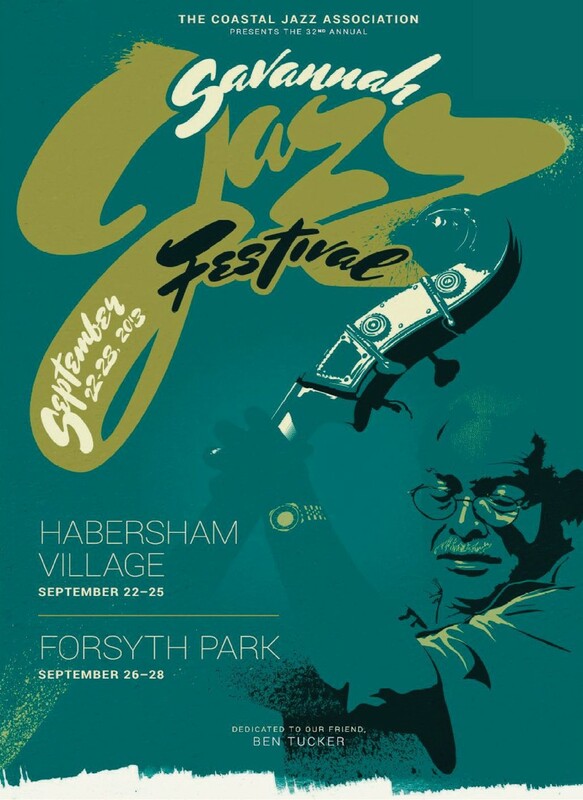 On Sunday September 22nd, Savannah Country Day School kicks off the 32nd Annual Savannah Jazz festival, followed by several other ensembles during the day to help put the swing into things. Savannah Country Day School (SCDS) school has five jazz bands–two of which are in upper school. The SCDS band program is nontraditional in that it centers on jazz bands and not concert and marching bands. The upper school jazz bands have traveled to Florida for various jazz festivals and have performed at Universal Studios, DisneyworldSeaworld, as well as on cruise ships. Considered one of the top US jazz bands, SCDS has performed on River Street as part of the Savannah Music Festival and at the Savannah Jazz Festival. SCDS has featured many guest artists at their concerts, including: Bobby Lee Rodgers (guitar), Jody Espina (saxophone), Barry Green (guitar), J.B. Scott (trumpet), Lisa Kelly (vocalist), Jeremy Davis (saxophone), and Howard Paul (guitar). David Elliott’s tenure at SCDS began in 2000, having previously led band programs in Illinois, Kentucky, and South Carolina beginning in 1982. He has had award winning bands at every school he has taught. Mr. Eliott plays trombone with the Savannah Jazz Orchestra, the Fabulous Equinox Jazz Orchestra, the Savannah Winds Concert Band, and the Festival Brass Quartet. The Skyelite Jazz Band is up next at 3pm. The Savannah Arts Acadamy’s band has traveled the globe representing Savannah and has won many awards and accolades. The SkyeLite Jazz Band has performed in China, London, and Washington D.C. and released two CD recordings. The band was also invited to play at the National School Board Association’s National Convention in San Francisco in April 2007. In the 2012-2013 school year, the SkyeLite Jazz Band was invited to Swing Central, one of the top two jazz competitions in the nation. Only twelve high school jazz bands are invited and SkyeLite is the first Savannah band to be selected. Students who graduate from the program, electing to pursue music in higher education, have been awarded scholarships to the leading institutions in the country including Indiana University and Oberlin Conservatory of Music. Just an hour after those ready for more can enjoy The Armstrong Jazz Ensemble, which has been a training ground for musicians for more than forty years. Many musicians enroll as part of their training for careers in music and music education, but the jazz band also includes students majoring in other career areas. Many former members of the ensemble are teaching and performing in the Low Country. The ensemble is directed by Randall Reese. This afternoon’s concert will include guest appearances by Jody Espina, Steve Primatic and Teddy Adams. One of the most memorable traditions of the Savannah Jazz Festival has been the Kickoff Jam Session of the festival with Teddy Adams and some of the biggest names on the regional jazz scene. The Coastal Empire is blessed with many, many great musicians. You’ll hear several of them come together Sunday at 5pm to create some of the best music you will hear all year –and a bit of friendly competition. Trombonist, Adams, assembles the area’s best jazz artists with an emphasis on those artists who are not part of a working band and are not featured during the week long festival -although musicians who perform at other venues during the festival are also included. Quoting the late great saxophonist, Lester “PREZ” Young, “We’re the best of friends, but on the bandstand it’s WAR.” The artists come to have a good time, but they know that the competition is very challenging. To learn more about visit SavannahJazzFestival.org.